Travel Tips Archives - Adventures from where you want to be. As adults, we love to dream big dreams, dreams for ourselves, for our business, for our children. When we first got married we would attach photos of things that we were aiming for on the wall in our room, to remind ourselves what we were working towards. From holidays, cars, houses, jobs, qualifications even just inspirational quotes they helped drive us forward when we where busy renovating houses, doing the extra hours, so we knew that whilst there was a cost involved it was worth it. Our children too have big dreams and a lot of them revolve around places they want to visit around the world. We decided to make a dream board with them so they could see what we were aiming for. Now the thing when you create a dream board with your children it has to be what they want for themselves, not what you think they should want. For our youngest daughter, her number one travel location is Hamilton Island, we go there at least a year. But there was no way she was going to put anything on there until a large photo of Whitehaven Beach was on the board. For our oldest, her travel goal is to go to every Disney resort in the world. So more than half of the board revolves around Disney, with the largest picture being a Disney cruise. Our youngest had one place he wanted to see, Toy Story Land… nothing else mattered. There was no point asking him for multiple places as in his mind nothing else mattered just walking into Toy Storyland and going on Slinky Dog Dash. Important things I learnt when making a Dream Board with my Children. They often want to go back to the places they have visited before. A lot of the places that they put on the board were places we have taken them to before. Places like Canada, Disney, Whitehaven beach. You can’t be worried about whether it is symmetrical, whether it is cut out correctly. Items will be cut out on angles, attached over the top of each. There will be spaces. Don’t worry, It needs to inspire them, not you. It is often hard to get the ‘correct images’ for your child. The traditional way of going to get a brochure from a travel agent is a lot harder, especially if you want to go to a large number of places. So we used a mix of google images, our own images, we head into travel agents and get brochures. We also bought a couple of travel magazines to cut out as well. It needs to be somewhere that your kids see it regularly, we put ours up on the wall beside our dining room table so every night when we sit down to eat, we can look at it. Be thankful for the places that we have already been to. Be inspired by the places we have yet to get to. Your Children will surprise you. I never realised some of the places our children wanted to visit, places like the Great Wall, the London eye, Central Park, Statue of liberty, stone henge. Have you created a dream board with your children? Do you enjoy travelling with your kids? What places do you want to go to? Celebrating Christmas when away from home. This year we are doing something different we are packing up our four children and celebrating Christmas on holiday. It’s nice to get away from the normality of life and go on an Adventure. With less stuff about there is less to clean, and your days can be spent exploring, relaxing and making the most of our wonderful world. Our time is going to be spent in Queensland before we embark on our Disney trip. Heading to both Los Angeles and Florida. so make sure you keep an eye on our youtube channel as we will be posting lots of great videos over the next six weeks. Christmas is a great time to get away, however, when traveling at Christmas time there is a little bit of extra planning to do. 1 – Organise a house sitter. For us, this was the most important but also the easiest one as we had a family member that also wanted to get away for the holidays so is happily looking after our pets and our house. Means you have an extra level of comfort that all will still be ok when you get back. Also means that you don’t have to worry about your pets feeling left out this Christmas season. Work out what you are going to eat on Christmas Day. If Christmas is normally filled with lots of food, celebration then staying away at Christmas can be a little strange but don’t despair. Find yourself your favorite restaurant in the area and prebook early a table for lunch or dinner. Make sure though you still head to the shops and by the essentials. Make sure you search out your favorite Christmas treats. If it’s not Christmas without your Rocky Road, then go buy the ingredients and make yourself one anyway. For Others – Make sure that you have all your presents, not only wrapped and purchased before you leave but with ample time to actually drop off. There is nothing worse than going to all the effort to purchase a lovely present for someone and realising that it is still sitting under the tree at home. Your own presents – When traveling space becomes a problem, and with four children making sure they not only get what they want but it is still manageable to get the presents home in your luggage is a real issue you need to think of. One way we get around it is by purchasing experiences for your family. Instead of huge lego sets, maybe you could buy a family pass to a local wildlife park or the zoo. 4 – Explore the local holiday decorations. Make sure you go take a walk and see what the local place has to offer this Christmas. If you are visiting Melbourne for Christmas their is always the iconic Myer windows or ArtVo instillation in Crown. Take a drive around and see the Magical Christmas lights. Ballarat has a great iconic art trail this year. Maybe you are heading over to New York and can experience a White Christmas. make the most of it. Maybe you are in Sydney and can experience the Fireworks on New Year’s Eve. We have been twice and they really are breathtaking. The hardest thing about being away from Christmas is not seeing your loved ones, so make sure you have internet available and Facetime with those nearest and dearest to you. Then everyone can still be involved in the magic of seeing the presents being unwrapped. One of the most magical things about Christmas is decorating the Christmas tree, and even though we were leaving two weeks before Christmas we made sure we decorated our tree at home. We continue this by purchasing a cheap tree from K-mart and having it set up in our hotel room, that way the children can still wake up on Christmas morning and sit under the tree and open their presents. We love music in our house especially Christmas music, so I make sure that we continue to play our Christmas music on holidays. We can’t miss out on our Mariah Carey, Human Nature Christmas playlist. 8. Find a way to continue some Christmas traditions. No matter where we are our children loves to watch both the Carols in the domain and Carls by candlelight. Many a days traveling has been cut short to make sure we are at our hotel or caravan park in time to sit and sing along to the Christmas carols. Now thanks to catch up tv, we get to relive the magic of the carols for days afterward as well. If you are away for Christmas there will be some traditions that you might find hard to continue. Maybe it was a big roast dinner, however, the hotel you are staying at doesn’t have an oven. Maybe you always went to your local carols. Instead, create a new one, maybe buy a Christmas ornament from the town you are staying in, so you will forever have the memory of where you were? Christmas will be different if you aren’t at home, and that is not necessarily a bad thing. Create new traditions, enjoy the fact you won’t be running from one event to the next. Have you ever been away at Christmas time before? How did you cope? Our essentials to pack in your Caravan. You have your perfect van. Picked up all the extra’s when you picked up the caravan, the steps, the wheel chocks, water hoses, power cables. You ready to set off on your first big adventure only to find out you have forgotten some essentials items to make your trip easier. My number one advice when you pick up your new (or new to you) van is to take it away somewhere relatively local first for a short trip to work out the essential items you need to take with you. That way you can work out what you should really pack in your van, and what you won’t really use. Over the last 16 years of caravan travelling, we have worked out a few of our essentials for a great trip. My ten essential items for your next Caravan trip. There is nothing worse than lying down in bed and feeling like you are sleeping at an angle. Feeling all the blood slowly rush to your head. Life is so much easier in a caravan that is level, from eating, sleeping, cooking even showering. **If you do forget one, and have internet coverage you can download one for your iPhone, Android. We used levelling tools on our last trip. Keep your food, and tableware from sliding around in the cupboard with some non-slip grip mat. You can buy it in rolls and cut it to your desired length. Seems like such an obvious one, but one thing that is often overlooked, the great thing about travelling in a caravan is exploring the great outdoors. We have had a couple of trips when we have forgotten, and getting back to the Caravan and the end of the day and having to try and relax outside on a step just doesn’t have the same appeal. Be prepared! For any misadventure with a first aid kit, whether its a bite, burn, scratch, earache or a headache, if you have a basic first aid kit, It takes the panic out of injuries. Imagine trying to find something to tend to a wound or injury in the middle of Coober Pedy. I hate wasting food so always pack a few plastic containers to store leftover meat, salad or pasta we have cooked. Also great to store open biscuits and other snacks to keep them fresh. We just grab the takeaway style ones from the supermarket. That way you don’t have to worry if they get lost, broken or forgotten. Also as they are all the same size they stack really well in the caravan fridge. Most of our caravan trips ultimately end up somewhere near the coast of Australia, which means sand everywhere. It doesn’t matter if you shower, somehow three hours later as you are lying in bed you will end up feeling sand in your bed. Shatterproof, break-resistant, melamine tableware is the only tableware to bring on your caravan trip. Nowadays the food safe melamine tableware is so much nicer than it used to be. It’s easy to wash, doesn’t matter if it gets dropped. We have purchased a USB charging hub, to charge all our phones, cameras and other devices, so instead of having to plug in multiple chargers they all plug in nicely to the one hub. When our children were crawling this was the essential thing for our stays in the caravan, our large Coast to Coast floor mat is 6m x 2.5m Its made from foamed PVC so it is a soft breathable mat that won’t kill the grass underneath it. It’s also non slip and comes in a carry bag, so is easy to store. Perfect for when you are on a dry dusty site. There is nothing worse than being in the middle of nowhere. Finding out you have broken something and not having anything to fix it with. We always used to cook in the kitchen in the Caravan, however, whilst everyone else was sitting outside in the sun relaxing with a drink in hand, I was inside cooking. I began to think what is the point of being on holidays and still being stuck in the kitchen. That all changed when we bought our Webber. It sits on the table outside and we cook all our meat and our potatoes on it. All I need to do is a bit of salad preparation. What essential items do you pack in your caravan? Where are your favourite places to go in your Caravan? Overland track? Alice Springs? Great Ocean Road? The Grampians, Port Hedland. Do you have a packing list? Or do you just wing it each time? Travel Quotes to live by. Travel Quotes to inspire! Travel Quotes to live by! I love travel quotes, they inspire me. I spend many an hour on Pinterest looking at travel quotes. I have decided that many of these travel quotes are really things that we should all live by. When you travel take an adventure, do something you wouldn’t normally do. It’s amazing what you see when you are a little out of your comfort zone. When we visit somewhere we always try and go somewhere we haven’t been before. It’s an adventure. Whether it’s a walk to a beautiful waterfall when having a lazy weekend on the Great Ocean Road. A restaurant that we wouldn’t normally choose. I would much prefer to have a gift voucher for an experience for a gift, than something that I will never use. Over our daughters birthday, we had a holiday planned which ended up with us staying at Disneyland for her birthday. Instead of getting heaps of presents she got a princess makeover at Bibbidi Bobbidi Boutique. I can tell you she still talks about the holiday, the makeover long after the toys have been forgotten. Life begins, at the end of your comfort zone. Some of the best experiences I have had, have been when I have been uncomfortable. The time we were heading to a wedding in Thailand, we got off the plane to find out we were in the middle of the 2014 military coup. Definitely out of my comfort zone, however, to see an authentic Thai wedding of two people I care about dearly was well worth it. Live the life people will write novels about. Now I love nothing more than reading a good book, but why be amused and entertained by everyone around you. I want to live a life that people are fascinated by, I want to do something in life that people want to read about. Maybe it won’t be a novel, but a blog post I would be happy with. There are so many impromptu trips, drives that might not have cost much, but the memories stay with us. Playing in the sand at Lorne, an Ice cream at Halls Gap. The St’Kilda Football games each week with our Nana, who is now no longer with us. These memories are more important, more timeless than the material possessions of the world. We are a firm believer that children learn so much when travelling with us, that is why on occasions we take the kids out of school and take them on trips, we went to Cape York and our children learned all about the Torris Strait Islands, and the communities that lived there. They have swum with Dolphins, climbed on the Athabasca Glacier, learned all about the wildlife on Hamilton Island. We have visited Uluru, learned all about the Legerwood memorial Carvings the list goes on. Whether locally with visits to Scienceworks, their are so many opportunities for children to learn. Once a year go, someplace you have never been before. Whether it is a local waterfall you have never stopped at, a market, some gardens it doesn’t have to be far away or expensive to continue to see more of the world. Also I make sure every second or third time I go somewhere I try something new on the menu at a restaurant. Well except for breakfast as nobody messes with my Bacon and Eggs and Fresh OJ for breakfast. What I have found since traveling with Children is that everything is amazing to them. A walk around out local Lake Wendouree which should take an hour, pushes two hours as you stop to stare at the ducks, the swans, the way the flowers grow in the water, the way the sprinklers make rainbows the list goes on. In this busy world we live in it can be so easy to try and see everything, so we rush through everything, we focus on the negatives and forgot how amazing our planet really is. We forget to stop, to wonder, to dream. Focusing more on travelling to every country, to every place instead of experiencing every country, experiencing every place. Some people might not agree with this one, they might not think they need to travel. But then again I guess they wouldn’t be reading a blog about travel quotes if they didn’t like traveling. The world is so big, people are so different, every country, state, province, town has its own culture. The only way you can really experience it is to get out there and see it. This is one of the reasons I love to blog, I want to tell stories about the places I have been to. I love listening to peoples travel tales, I love hearing about the good, the bad the sometimes uncomfortable stories. Whilst others are busy watching TV shows, I watch youtube videos of peoples trips, I read blogs, I watch documentaries on peoples adventures. I want to hear the stories of peoples trips. I think this is so important, I see many people who are going through a hard time and they pack up and leave, but when they go home their problems are still there. Sometimes even worse. If you are dealing with money pressures, and think that escaping on a holiday is going to help you feel better. It’s not you are going to still have the bills, the expenses when you get back. Family dramas, still there! Relationship issues. Still there. It’s so important to have the right priority for your travels. Now for My two Favorite travel quotes. My favorite travel quotes, from one of my favorite movies. Like Aragorn in the Lord of the Rings, just because to others you seem to be wandering around aimlessly, you are not Lost. They might not understand your fascinations with bushwalking, might not understand why you want to visit a certain place. But who cares, travel your way. See what you want to see. You’re off to great places! Today is your day! Your mountain is waiting. So…get on your way! Oh, the places you’ll go! This is so much more than a travel quote, this is a life quote. No matter how big the mountain is in front of you, you have the ability to climb over it. As a Journey of a thousand miles starts with just one step (Yes, another travel quote). I tell my kids all the time they are off to great places they just need two things. To believe they can do it, and to take that first step. What are some of the travel quotes you love? What quotes do you live by? Spirit of Tasmania, Day or Night sail? So you have decided to visit the Apple Isle? You have decided when you want to go? You have made the decision Do I fly or Do I sail? If you have chosen the Spirit of Tasmania. Now to make the next decision. Do I choose a day sail or a night sail? Who knew there were so many options. We have done both and thought we would write a list of the pro’s and con’s of both. Ultimately it comes down to who is travelling with you, and where your priorities lie. Day – you can get away without a cabin, Especially if your children are older. However if you have preschool aged children (or younger) I would suggest getting a cabin anyway for day sleeps, space away from people. Day – Have a great view of Melbourne as you are leaving port, some people have told of seeing dolphin pods on the way across. Entertainment depends on the age of the travellers. No general internet/phone service about thirty minutes after you leave port. However, you can purchase Satellite WiFi in lounge areas for $18. This WiFi is very patchy and you cannot use it for streaming services, ie videos, also not available for some games that require a fast internet connection. Small playground – great for preschool age, however, will not keep them entertained for hours. Day sails – face painting, circus performers, trivia, and disco bingo. Small arcade – very busy and normally unless you get in early more time waiting than playing. You can find out screening times here. Realistically there are benefits of both the day or night sail, and you need to look at who is travelling? Day sails are not always available. Through the winter months there are no day sails, and through spring and autumn, they are once (maybe twice a week). In summer day sails are 3-4 times a week. So if you have a set day you want to sail, you need to keep that in mind. Previously when our youngest were toddlers we always headed across on a night sail, booked a four berth inside cabin (fits two portacots) and they slept almost the whole way. Now they are older there are no cabins that fit us all. So if we have the choice for our next trip we will probably head across on a day sail. We will still book a cabin so we have space to relax. To find out more about the Spirit of Tasmania. To find out more about Tasmania. Top travel tips for Aeroplane travel. With the additon of so many low cost aeroplanes, overseas travel is so much more accessible for travelers now. So we have put together our list of our top travel tips for aeroplane travel. When traveling in aeroplanes, what you wear is so important to ensure you have a comfortable trip, but it is also important to help you get through security easily as well. Select shoes that are easily to slip on and off, as often you will be asked to take your shoes off to get through security. Also at most airports you need to be careful your belt won’t set off the metal detectors. Loose fitting clothes, this is important not only to minimize the risk of DVT, but also makes you more comfortable. It is also easy for you to get to sleep. Layers, when traveling you are often presented with a variety of climates, the place you are traveling from, the aeroplane itself which is often quite cold, and then your destination. The greatest way to ensure you are comfortable no matter where you are is to wear a couple of layers. Depending on your health, a pair of support or compression tights is helpful. Change of clothes, in case of spills, (or in case of emergency if your checked in luggage goes missing. It’s so important when flying long haul that you try and change your body clock to your destination from the minute you jump on the plane, and having a sleep is a great way to do this. The best way to be able to sleep in the plane is to be organised. Comfortable eye masks to block out the bright lights. Make sure your buckle is on top of your clothes, so if you hit turbulence the cabin crew don’t wake you to check your seatbelt. Pack eye drops, aeroplane cabins are low humidity so your eyes often get dry and irritated, use eye drops to stop your eyes looking red. Hand sanitiser, there is no way in the quick turnover of plane trips will your seat area by totally clean. Lip balm. Your lips often get dry from aeroplane travel so lip balm will soothe your dry chapped lips. Drink plenty of water it will help you from getting dehydrated. This is important not just for the flight but in the days leading up to your flight. Limit your caffeine and alcohol intake. Dehydration on a plane has a few flow on effects – increased risk of jet lag. Think do you really need it. This is really important when traveling with children as you will often be carrying them too. Pack some treats to snack on for takeoff and landing to help with your ears. Pack nut free, think of your other passengers that may have nut allergies. Inactivity increases muscle pain and discomfort. Charge your device before you go, unless you are lucky to fly first / business class you most likely won’t be able to charge your device on the flight. Pack a portable charger and your USB charging cord. Load up your devices with games, books and videos that do not require Wifi. Bring your own headphones that are comfortable. Bring noise cancelling headphones, as then it won’t matter if you have a screaming baby nearby, someone snoring, talking loudly, you can sit back and relax. Even if you don’t have young children a pack of baby wipes are one of the most versatile things to pack for your flight, they can be used for many uses. Great for cleaning everything the tray, the chair, your hands, face. Freshen up by wiping your face with a wipe. Most aeroplane travel tips are the same when travelling with or without children however from experience there are a few other things you need to think about. To check out our basic aeroplane travel trips click here otherwise read on to find out more. To really appreciate my first tip you need to take a trip with me to our magical journey home from L.A travelling with four children, A 21-month-old, a 3-year-old, a 7-year-old and a 9-year-old. Our flight back was late in the day and after a long, busy day at Disneyland, and a nice 3-hour wait at the airport we were off and ready to go. Now I don’t know why it happened but only minutes into our 13-hour flight, our beautiful daughter started to feel a bit unwell and was sick. All over me, my top. Now whilst wipes are great at cleaning stuff up, nothing apart from a change of clothes can really take the smell away. Now after being sick she felt fantastic, in her fresh change of clothes she enjoyed the rest of trip, however, I spent the next 12 and a half hours with the lovely smell. Back when my children were babies I always packed a spare top for myself, but I didn’t this time as my children were older, big mistake. Now the trip wasn’t over yet. Like a comedy over the rest of the flight, I had drinks spilt on me, a nappy accident that almost brought me to tears. I walked into Auckland airport with my baby covering me so it didn’t look like I was the one who had an accident, waiting for our next flight home I had one choice. I walked into the nearest store and had to buy an overpriced pair of merino tracksuit pants, and t-shirt for myself and my toddler. A very expensive mistake. Children are often fussy, and will often find aeroplane food a little interesting. Keep them happy by packing their own food. Or they will serve yoghurt, yes yoghurt at 10,000 feet, imagine the mess that brings. Set an alarm for 45-50 minutes before you are supposed to land, to make sure you take your children to the toilet. Once the seatbelt lights go on, you cannot leave to go to the toilet. And children often can’t last 30-40 minutes it might be between the seatbelt light going on and landing. Young children wear pull-ups just in case. So much less stressful than an accident in the aeroplane, or dramas with in-flight turbulence and waiting for the light seatbelt light to turn off. Skip laces, buttons, zips and anything that could prevent them getting you them to the toilet on time. Choose a Middle or window seat for your child. Aisle seats are dangerous for younger children, little hands reaching for the trolley, elbows or legs hanging over the side. Keep them hydrated, pack a non-spill cup, a water bottle. When the flight attendants come around get them to refill your bottles. We have found that our children will often stay awake for most of the flight. But with only moments left in the flight will fall asleep. We then are faced with a major problem how we can get all our and our children back of the plane. Often juggling carrying children, carry own luggage back off the plane. Think of worst case scenario, can I carry my children and my luggage off this plane? Embrace the experience, relax memories made together are priceless. One thing that a traveller loves, is a collection of travel quotes. It’s a great way to daydream the days away as we are waiting for our next trip. 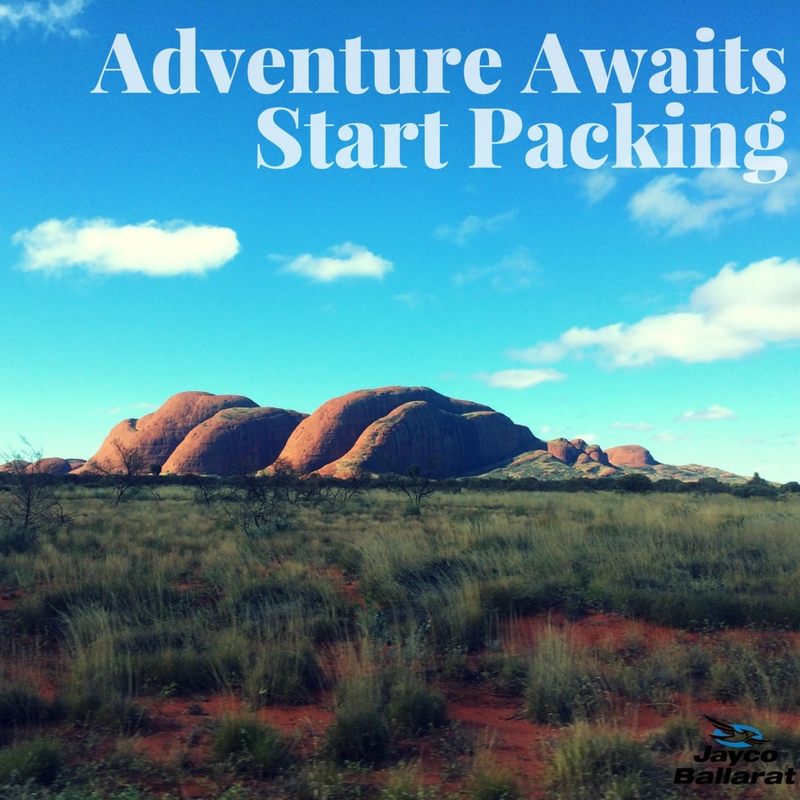 And with help from Jayco Ballarat, we have put together a slideshow of some of our favourite travel quotes. Let us know of your favourites in the comments below.